Trump with his puppetmaster McMaster. It appears that establishment intellectuals are pleased with the National Security Strategy report recently released by the Trump Administration. They know it signals an aggressive foreign activities role for the United States. The Trump administration hews closer to the blue-water school. In the time of Pax Britannica, blue-water partisans believed Britain could accumulate great strength and wealth by advancing its interests in the wider world. This would do more to keep the country strong and respected than success in the intricate games of European diplomacy, they believed. A strong and rich Britain could always intervene in European politics if necessary to preserve the balance of power, and a globally dominant Britain would always be respected, even if it failed to make itself loved. [B]lue-water strategists in the Trump national-security team believe that it is American power, not multilateral institutions, that keeps the West afloat. If challenges to American power from countries like China, Russia, Iran and North Korea are successful, the wider West will weaken and crumble. Lt. Gen. H.R. 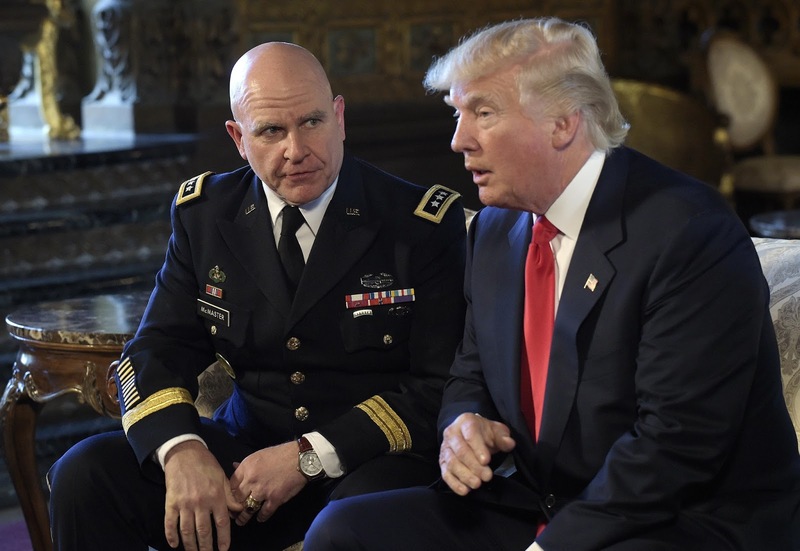 McMaster and his team deserve credit for finding ways to narrow the gap between President Trump’s strongly held personal views about foreign policy and the ideas embraced by mainstream Republicans. Whether they can make the strategy work in the real world remains an open question. But they appear to have done with this document all that an administration can hope to accomplish with a National Security Strategy—that is, to lay out the broad principles and elements of consensus on which the administration will base its work. The world remains as unstable and crisis-prone as it did before the publication of the NSS. The Trump administration’s national security apparatus, on the other hand, seems to be finding its sea legs. Bottom line: The generals are in charge and they are going to guide President Trump on an aggressive muscle-flexing foreign policy.